The most professional Battlefield clan website hosting. No coding required, get set up in minutes. Thousands of gamers use our web platform. Take it for a ride, for free! 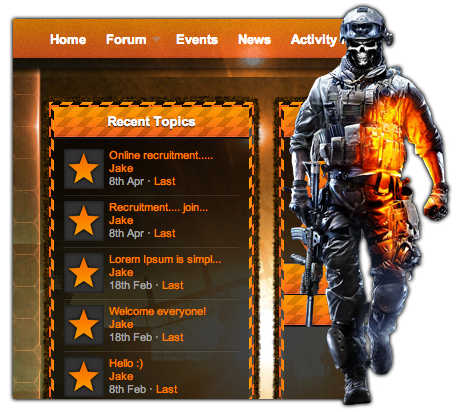 Our web hosting platform is built for FPS gamers. Features include match reports, tournament scheduling, recruitment options & rosters; our platform is the perfect management system for your clan. Organize elimination, round robin and battle tournaments. Schedule events with the event planner. You and your soldiers can organize times to play and share match results directly on your website. 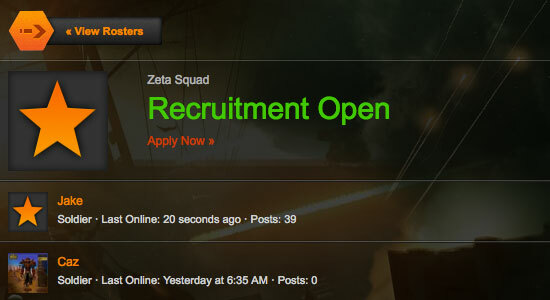 Allow visitors to join your clan through your own application system that's easy to setup. This results in more recruits to your clan. 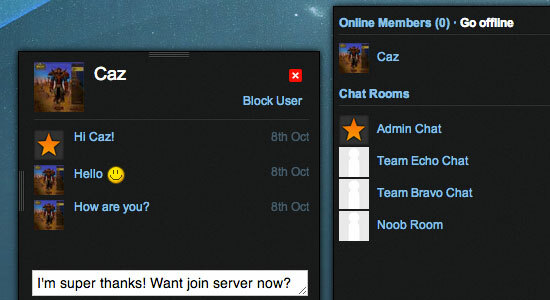 Then organize your members into different rosters, squads, teams or ranks. Social features such as instant chat messaging, forums, activity feeds & member profiles make it really easy to keep in contact with your members. Mass send newsletters, private messages & so much more. There are hundreds more features that make building your powerful clan website a bliss. The best way to get started is to sign up! It's completely free and easy to use. You'll have your clan website up and running in minutes. You and your members will love it! 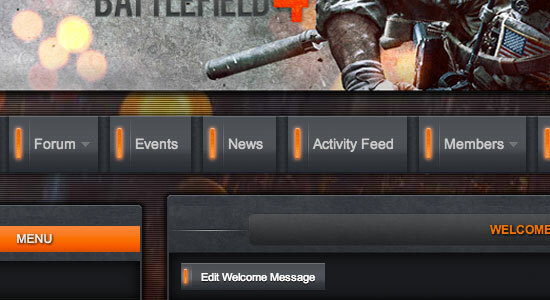 BattlefieldWebsites.com is not affiliated with Battlefield or EA. Please fill in captcha below to confirm you are human.